DOWNLOAD Over 135 Pop R&B Music & Guitar Loops w/ Free Upload! 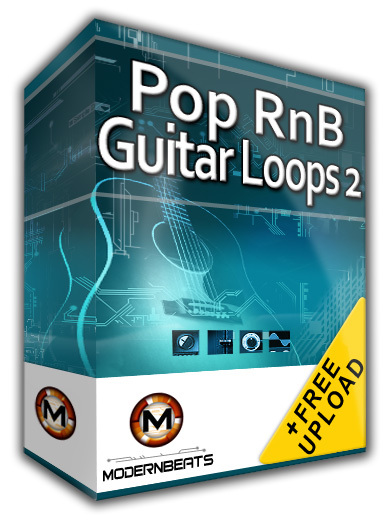 Download Pop RnB Guitar Loops 2 - Featuring over 135 loops in WAV/AIFF/REX2 formats (414 files total) provided in a construction-style layout, ModernBeats proudly releases the sequal loopset "Pop RnB Guitar Loops 2" - Delivering round two of quality, chart-topping pop radio music & guitar performances! Styles of loops include those of award-winning Pop R&B recording artists Ne-Yo, Black Eyed Peas, Rihanna, Jordin Sparks, Katy Perry, Madonna, Bruno Mars, Coldplay, Chris Brown, and more. Featuring 10 multi-track themes at tempo 116BPM, "Pop RnB Guitar Loops 2" delivers multi-track performances of cutting-edge pop guitar riffs plus several other instruments. Each theme is separated into multi-track construction style loop files with both 16bit and 24 bit options. Plus, all loops mix-match seamlessly together, allowing users to combine and create hundreds of original multi-track musical compositions with ease! Each 116BPM loop theme is featured in C major/minor key.